I just looked at the statistics of the revenue per shares of companies and in India we have a situation where revenue per shares has been rising significantly more than in other emerging economies in the last few years. Now at the same time we have in India, pressure on corporate margins, profit margins, and if there is an environment where profit margins can improve, corporate profits could rebound very strongly. And so its conceivable that the stock markets in India, which have been one the best performing markets in the world year to date, that this performance continues for a while. I have to say that in the US, no matter who is the president of the United States, to reform congress and the lobbyists and the lobbyists and the curropt system and the cronies is incredibly difficult. So you have essentially governments around the world and bureucrasies that are very difficult to reform. And I have to point out that the period between 1970 - 1910 in Europe and US was characterized by very strong growth certainly in real income terms and that was the period the government made up for maximum 15 % of the economy. So the larger the government becomes the lesser economic growth there is. If someone asked me how do you really stimulate growth in the global economy, I would say that Government spending has to be cut meaningfully and the economy has to be free from the chain of that he buerecracy the government imposes on them. I wouldn't store it[Gold] in the US. I would rather store it in Singapore or in Hong Kong or maybe you bury it somewhere. But as I mentioned earlier, I think the tendency is going to be for politicians that have completely failed and utterly failed to essentially blame rich people for wealth inequality and then they will go to the people, to the masses, and say, "You know what? What we have to do is take away their gold. These are the people who damaged your economy. Let's take away their gold." And in the US they may do that, and in the ECB in Europe. The horrible politicians in Brussels and the US government are one in the same. They will go to the Europeans and say, "If we do it, why don't you also do it?" and Draghi and all these characters will say, "Yeah, good idea." And then they'll knock on the door of the Swiss and the Swiss, who have no backbone anymore – except their soccer team, who consists of foreigners, not Swiss, all born overseas or children of foreigners in Switzerland – the politicians and the Greens and the Socialists will say, "Yeah, good idea. 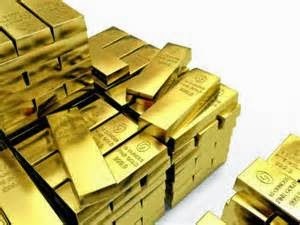 Take the gold from the rich people." So my view is it's probably best to hold gold in Asia and Singapore and Hong Kong where there is a culture of private property and a culture of gold. I think one of the problems of the current monetary policies is that asset prices have risen very rapidly, notably in stocks in US and bond prices. The bond market, credit market is inflated and the stock market is inflated, and because of the strong housing price recovery in the US younger people cant afford to buy homes. The monetary policies by boosting asset prices have lowered the affordability of assets. In future returns from all kinds of assets real estate, stocks, bond, even commodities will be relatively low. The dollar is still going to be for some time the most important currency because I can travel with $1000 in cash or as I do, usually $10,000, and I can go into any shop, nightclub, bar, anywhere in the world, and pay with dollars. So it's still the accepted currency. I was recently asked by some commentator, why would the market go down? And I was at a meeting of economists and, whereas in 2009 all of them were very bearish, S&P 400 and this and that – I have to say, at the time I said the market is so incredibly oversold, in my view it will go up. Then in 2012, March to June, when the European markets were at the low and the euro was very weak – some European markets in March to May 2012 were lower than they had been in March 2009. But between March 2009 and March 2012, the S&P had more than doubled but the European markets had gone up and then collapsed somewhere lower than in 2009, such as Portugal, Greece, Spain, Italy, France. I told them, now is the time to put some money in Europe. All of them were very bearish. We had a significant correction in many shares, and the markets on a very short-term basis were extremely oversold with only 20 percent of shares above the 50 day moving average. Now a rebound is underway in my opinion. But I doubt we will make new highs, and if we make new highs, maybe just with the very limited number of shares, because the technical damage is quite significant. I still hold 10-year Treasuries notes. I'm not of the view that it's a good investment. They are yielding 2.6% at the present time for 10 years so the maximum you can earn is 2.6% for the next ten years. I think it's a disastrous investment but maybe other investments like the S&P, the NASDAQ, the Russell 2000 are even worse and so I hold some 10-year Treasury notes as a hedge against the market decline. I've been predicting – wrongly so, I admit – a correction for a long time. But now I don't believe there will be a correction. Next train station is a collapse. All markets are correlated. If the S&P drops 20% I don't see many markets going up. If you print money you will get symptoms of inflation and one of the symptoms of inflation is rising asset markets. It can also be rising consumer prices, rising wages and so on. Because we have an absence of foreign exchange controls and we have a globalized economy, the US may print money and there is more inflation in the US in terms of consumer price increases than what the Fed is suggesting. But at the same time, the larger inflation has been in emerging economies and even larger bubbles have occurred there. My inclination is to believe that the central banks eventually will have to make a choice. They have created asset bubbles. At the same time, the economy has hardly recovered. What will happen when the asset bubbles burst again, say the stock market goes down 20%, the property market goes down and so forth? What will be in the mind of the Federal Reserve and other central banks? What will be in their minds is more money printing will do less damage than no money printing. And so the asset purchases, the QE 1, 2, 3, 4 will go on to what I predicted in 2009: It will go to QE 99. And as a result of that, not only the US dollar but all currencies will lose in value against some assets, irregularly at times. Real estate will go up at times. At times commodities will go up at times. Stocks and bonds will go up at times. But my inclination is to think that when this all happens and even before – because the market is a discounting mechanism – is that gold and silver will again appreciate against the US dollar. And don't forget – and I have to stress this – the media is all over the fact that gold hasn't performed well, in September of this year, for the past three years and silver equally. But they never mention that between '99 and 2001, all precious metals significantly outperformed stocks and even today, precious metals between 2000 and today have significantly outperformed stocks. But the media paints people that own gold as kind of out of this world, out of touch. In my view, the recent gold rally has occurred amidst very negative sentiment. I get so many research reports from all over the world, from banks, investment advisers, gold bugs and so forth. By and large in this rally the mood has stayed negative. I think we made a major low over the last two years around $1180 to $1200 on the gold price and around $20 on the silver price, and I don't recommend people to put all their money into gold – but maybe they should; the question is, where would they keep it? Certainly not in the US – but in general I would say now is probably quite a good time to buy some gold and silver, and I believe that from here on gold and silver will outperform the S&P 500, the Nasdaq and the Russell 2000. It's my view. We have a two-tier economy. We have an economy of well-to-do people from which I have benefited because I'm in the financial sector. My asset value has gone up, I benefit from rising asset prices because I own shares and I'm on the board of companies that own shares, fund management companies and so forth, but I'm not happy about the fact that the typical household and the working class worldwide is not doing well. And what will eventually happen and has begun to happen – and I have written about this already five, six years ago – when you have rising wealth inequality, eventually you have politicians that will not assume personal responsibility for the rising wealth inequality that is largely fostered by monetary policies by central banks, notably the Federal Reserve. They will then go to the public, like Bill de Blasio, and say, "Look, if you are not doing well it's the fault of the rich people. The rich people are ripping you off." The rich people aren't ripping off anyone. 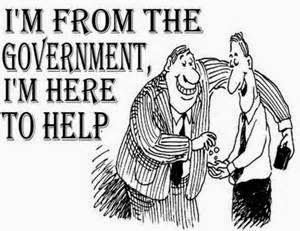 They just took advantage of a situation that was given to them by the Federal Reserve. And so these politicians will go to the people and say, "What we have to do is to punish the rich and let's introduce a massive wealth tax,". [Thomas] Piketty, who has studied – and I do not disagree that he's done serious work; it's not exactly correct but he's done serious work about wealth inequality. When wealth inequality grows too much you have either significant social reforms, social strife or revolutions. And in Europe and everywhere I hear more and more talk about taxing the rich and that is going to happen. It's not going to help. Redistribution of wealth eventually ends up in redistributing poverty. I lived for 30 years in Hong Kong starting 1973. Then in 2002 we moved to Chang Mai in the north of Thailand, in the so called Golden Triangle. We are in an agricultural part of Thailand. Its quite interesting because the agricultural sector around the world has done quite well. And Chang Mai is experiencing some kind of a boom. A lot of people from Bangkok they come here because the climate is much nicer than Bangkok and buy a second home. I have lots of friends who are much more positive about Silver than Gold. But I keep my gold in safe deposit boxes. They wouldn't be big enough for silver. We could have some kind of deflationary bust, we could also have some kind of inflationary bust. If the inflationary bust occurs, then it will be followed by deflation. If we have a deflationary bust, it will be followed by high inflation. It doesn't really matter, the end result will be a further impoverishment of the middle class and the lower 40 percent of income recipients of in the western world. They will not participate in the money printing and boom and busts. They will be impoverished. Then the social mood will be very bad. The government irrespective Democrats or Republicans, they want to protect their friends, their Lobbyists, they will go to war, and the whole thing will collapse one day. There will be a reset and during that reset a lot of assets will be worthless, like the whole derivatives market will cease to exists.